I decided to buy a digital full-frame reflex camera, (Nikon D700) provided with a macro lens of 60mm of focal distance. Thus, the access to pictures of small blooms was greatly improved. Indeed, the macro lenses allow a better quality than normal lenses with very closed diaphragms which, as we will see later, is often useful for the photos of small objects. Digital reflex camera provided with a macro lens and when necessary with an off-camera flash enabling lateral illumination. The flash has a diffuser (small translucent rectangle) folded back against the flash to soften the light during the shooting of pictures. 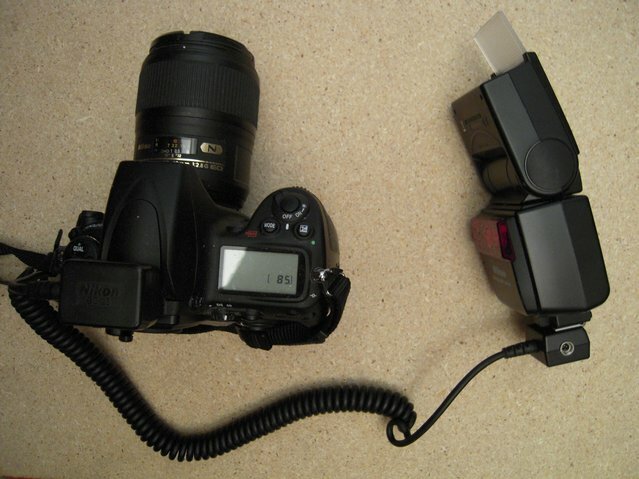 As regards the sources of light, I decided, besides the natural light which is irreplaceable, to use a small mirror with a magnifying side as well as a flash connected to the camera with a flexible cord. This makes it possible to illuminate the subject laterally or upwards or downwards. The flash was provided with a light-diffuser at its end, which can be replaced by a sheet of tracing paper at the end of the flash. Thus, the light is diffused and softer. I used also a tripod for the cases where I was obliged to make long time exposures. Concerning the background of the photographs, a mat black material made an excellent black background. Lastly, my photographs being put on my website, I was equipped with a photo retouching freeware. This equipment was fully operational in the place which I had chosen to take my photographs.